Lots of writers, it seems, want to include sword-fights in their stories. Rather fewer actually manage to include anything which is remotely exciting. If you’re a writer looking for inspiration, I will try to draw together some examples of what works and what doesn’t. If you’re a literature student, this will probably be more for amusement than anything else. I’ve certainly never seen an examination essay entitled: “Discuss the sword fights in Chrétien de Troyes…”. In the whole of literature, there are not many famous sword-fights. The ones you are possibly already thinking of, in The Prisoner of Zenda, The Count of Monte Cristo and the climax of Scaramouche, aren’t actually in the books, but only the films. The Count of Monte Cristo doesn’t have a sword fight at all. The Prisoner of Zenda does, but it’s all over rather quickly and is nothing like the one in the film, and Scaramouche, although it’s a book I’ll come back to, has an entirely different climax from the film, and that particular sword-fight — the longest in cinema history — isn’t in the book, although many others are. Given that an awful lot of films (and not merely a lot of awful films) feature a sword fight as the climax, it may seem surprising that novels have not taken the same course. That is, until you actually try to write a sword-fight. That’s the point where you realise that what works on stage, or on film, is rather more difficult on paper. Some great film sword-fights are, alongside those already mentioned, the Princess Bride, Return of the Jedi, The Court Jester, and Prince Caspian. We’ll come back to the Princess Bride and to Prince Caspian. Although in a different tradition, Hero, House of Flying Daggers, the Banquet, and Crouching Tiger, Hidden Dragon, have exemplary sword fights which put most Western tradition movies to shame. Probably the most technically virtuoso fight scenes in film are in Kill Bill volume I and II, where Quentin Tarantino relishes the challenge of including virtually every kind of modern sword-fighting. To me, the five best sword-fights in literature are, in reverse order, the climax of Chrétien de Troyes’ Yvain, any of the duels in Scaramouche, the first fight scene in The Princess Bride, and the first and second duels in Prince Caspian. To the best of my knowledge, neither Chrétien, nor Rafael Sabatini, nor William Goldman, nor CS Lewis had ever been fencers, which runs rather against the common writer’s adage ‘write about what you know’. I do know, however, that Goldman was an assiduous researcher, that Lewis was steeped in the whole of English literature from Beowulf to the late Renaissance, and that Chrétien would have seen sword-fighting at first hand, and heard it described many times. If you want to write a sword-fight scene, you might do worse than wander down to a local fencing club or visit a competition, or watch fencing on TV on the rare occasions that it is shown. You might do worse, I say, but probably not much worse. Fencing is just too fast for non-fencers to follow, and even — if we consider the number of arguments with referees at competitions — fairly hard for fencers to follow. When fencing appears in films, it is drastically slowed down. I was once an extra in a BBC television play that revolved around a fencing competition. To get it onto camera, they made us slow down to the point that it was comic. Judging by the successes of the four authors I have mentioned, it seems to me the key to writing about sword-fights is not watching them, but reading about them. Let’s consider the salient points. The sword fight in Yvain (Vv. 5991-6228.) is quite cerebral — Chrétien holds up the action to discourse on love. In terms of the action, it is less decisive than earlier fights, and there is less of a sense that Yvain might die. What is crucial is that Chrétien has arranged things so that Yvain is fighting — unknowingly — his friend Gawain. Scaramouche is frequently punctuated by bouts of fighting, and, indeed the protagonist, André Moreau, becomes a fencing master, and Sabbatini must then accept the challenge of finding ways for him to be allowed to fight. The climactic bout, though, is when he faces his own father, also unknowingly, although we, the readers, have long guessed (in the film version it is his brother). Moreau initially intends to kill the Marquis de la Tour d’Azyr, but is prevented because he is over eager, and causes a flesh-wound which, honour dictates, stops the duel from continuing. The fight between Inigo Montoya and the Dread Pirate Roberts in The Princess Bride is, in its film version, a favourite among fencers, and, for once, the film follows the book exceptionally carefully. Rather than elaborately recounting the parries and ripostes, Goldman treats it more as an exposition of the mind of a Renaissance fencer, referencing Capa Ferro and Thibault, and describing it somewhat like a chess game, with different strategies cancelling each other out. The turning point of the fight is done rather cleverly — Montoya, hitherto regarded as the greatest fencer in the world, decides to fence left-handed, even though he is a right-hander, and is pleased to discover that the Masked Man (his name is not yet known) is also a left-hander, which pits Montoya’s weakness against the man’s strength. But Montoya discovers the man to a far better fencer than he imagined, and as he is beaten back, he tells the man “I am not left-handed”, and switches to his right hand. The fight then changes, with Montoya beating the man back, until, just before he is about to defeat him, the man says “I am not left handed either”, changes hand, and swiftly defeats Montoya, a reversal that no reader could have expected. In his entire fiction career, CS Lewis only wrote two sword fight scenes (he has battles and fights involving swords, and he references two sword fights which have already taken place, in The Horse and His Boy, but these are the only duels between equally armed, skilled opponents happening directly in the narrative), and both of them are in Prince Caspian. Near the beginning, Edmund takes on Trumpkin the dwarf, disarming him after some moves. The climax of the book is the duel to the death between Peter and King Miraz, which takes rather longer and is, to my mind, absolutely the most gripping fight in literature. In the rest of the Narnia stories, we have swords against wolves, roll-over rough-and-tumbles, a giantess with the bar of a lamp-post beating back a crowd of angry Londoners, and a fight with a sea-monster, but no more one-on-one duels. It would seem unlikely that Lewis simply got fed up of sword fights after having written too many in one story. The truth, I think, lies in one of the great difficulties of describing fencing of any kind: very few readers have ever done it, or done anything like it. Most readers, of course, will have fought with sticks at some point, but the similarities don’t really help. By separating the fighting into two, Lewis is able to give the explanation in the first fight, and keep the drama for the second. He begins by emphasising the deadly nature of the combat: “These swords are sharp, laddie” says Trumpkin, initially rejecting Edmund’s challenge. Lewis then goes on to explain how ‘real broad-sword fighting’ differs from stage-fighting, and from sport fencing, and briefly explores the technique — while emphasising how dangerous it all is. The fight finishes with a fencing trick that Edmund knows and Trumpkin doesn’t, technically an envelopment, which results in the sword flying out of Trumpkin’s hand, finishing the fight cleanly and safely. It’s a great moment, and important for moving the story along. The second fight is altogether more serious, and, having explained once what broad-sword fighting is all about, Lewis doesn’t need to do it again. The second time round he is able to focus on fear, the imminent threat of death, the feeling of powerlessness among the spectators, the violence and injury of the fighting, and on the treachery of Miraz. There is nothing in the way of technical explanation to slow down the action, and there are no fencing tricks to give Peter the advantage. The turning point of the fight — described through the eyes of spectator to another — is when Peter pulls himself up, having fallen, using Miraz’s arm, a move which any reader can understand without having to know anything about fencing. The result of the fight is that Miraz dies, but not killed by Peter — rather, he is treacherously stabbed by his own side after he has fallen to the ground. The writers I have referenced solve these problems in different ways, more and less successfully. Chrétien’s solution to the issue of importance is to ensure that we know that if either fighter wins, then one of the main characters dies. The excitement comes from the dread of facing what appears to be a situation in which we can only lose, and the relief is when it is resolved. But Chrétien does not manage the actual fighting very effectively, and we are left with a cerebral, intellectual discussion which does little to get the blood pumping. Sabbatini has a much greater understanding of fencing, and this is absolutely clear in his writing. Club fencers are occasionally sufficiently convinced to believe that Sabbatini’s strategy could actually be used in a match (for the record, it wouldn’t actually work). But, despite the proximity to the fencing that Sabbatini creates, the action is relatively low speed and the way that Moreau is built up as the ultimate fencer makes the outcome of the duel certain. Like Chrétien, Sabbatini relies on creating a fight whose outcome appears to be certain ruin, whichever way it goes, and then resolves it by not allowing the fight to proceed to the death, exactly as Chrétien did. William Goldman’s fight achieves what neither Chrétien’s nor Sabbatini’s does: he makes the fight about the fight itself. Although he begins cerebrally, when the fight turns, it turns on the changing of hand from left to right, and it does it twice. In this way, Goldman manages to make the turning points happen in very few words, thus making the description of the action no slower than the action itself. He also manages to give the fight a distinct shape, which the reader can follow, with a double-reversal. But, the first time round, we do not seriously believe that Inigo is in real danger from the masked man until the action turns right at the end, and, the second time round, we know for certain that he cannot win, but will not die. Although the fight itself is tremendous, we recognise afterwards that it is, in fact, an unimportant interlude. Lewis’s solution is actually well worth considering as a more general approach to describing sword fights. In fact, it was a solution open to Goldman, Sabbatini and Chrétien, since all of them describe more than one sword fight each in The Princess Bride, Scaramouche and Yvain respectively. By informing the reader of all the issues beforehand, when little hangs on it, and then exploiting this knowledge at the climax. Interestingly, JK Rowling takes exactly this approach to magical duelling in Harry Potter and the Chamber of Secrets, which she then exploits in the climax to Harry Potter and The Order of the Phoenix. Although apparently different, Rowling was facing a very similar problem. Nobody reading her books would know anything about magical duelling unless she told them first, but attempting to tell them during the action would slow down the climax to the point of ineffectiveness. Probably the most important clue to writing about sword-fighting is this: all the normal rules of action apply: if the writing is not exciting apart from the sword-work, it won’t be exciting with it. You may (but probably won’t) find Wikipedia’s explanation of fencing terms helpful. 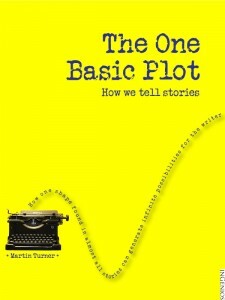 I’ve collected the books mentioned here into a page at Amazon.co.uk. 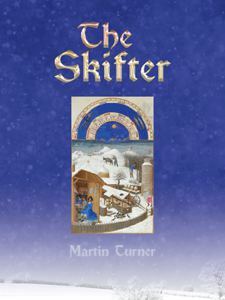 You can now get my sword-fighting novel The Skifter on Amazon along with The Impostor, a sword fighting romp-com. You made some really great insights for me to look into. I tried writing a sword fighting scene in a story and there were parts that I could see and feel while I wrote it but there is just something that is missing unless you do have that experience. Even watching others movies don’t exactly help because that is their view on it. I loved how you broke it down though and listed some of your favorite movies that had sword fights, because a few of those are the very same movies that got me wanting to write a sword fight scene. I loved this post and really appreciated how you approached it. I myself have been fencing for some years as well as writing fiction and can verify almost everything you have said; indeed most actually matches are done before you can write the first paragraph. I hate nothing more than reading a poorly written bout, which spoils both the actual writing _and_ the sport, so hopefully novelists will take head of what you have brought up. Thanks Ladygray101. Always good to hear from another writer and fencer. I’ve read Prince Caspian and I can’t say I found it a great sword fight in the traditional sense. I found the knife fight in Philip Pullman’s the Subtle Knife more gripping if you want a comparison with children’s literature. I am interested in this and I plan to read some more on this. Modern Historical fiction is full to the brim with fight scenes, as is Heroic Fantasy (Robert E Howard, David Gemmell) although I think the idea of a literary “duel” as a counterpart to a movie action scene is a modern one. R.A. Salvatore (professed by his readers as the king of Fantasy sword fighting sequences) himself said in an interview that he wasn’t aware real fight scenes really existed in fantasy literature before the 1980s or so. Can you cite a particular scene which you think is good? heart. Misery, anger power sparked in my hand and I attacked. Clink. Clank. sensation as my body wrapped itself in water and my sword glowed a bright blue. I swung my sword over his head and his sword pushed mine but I wasn’t finished. I slashed his torso and killed him.